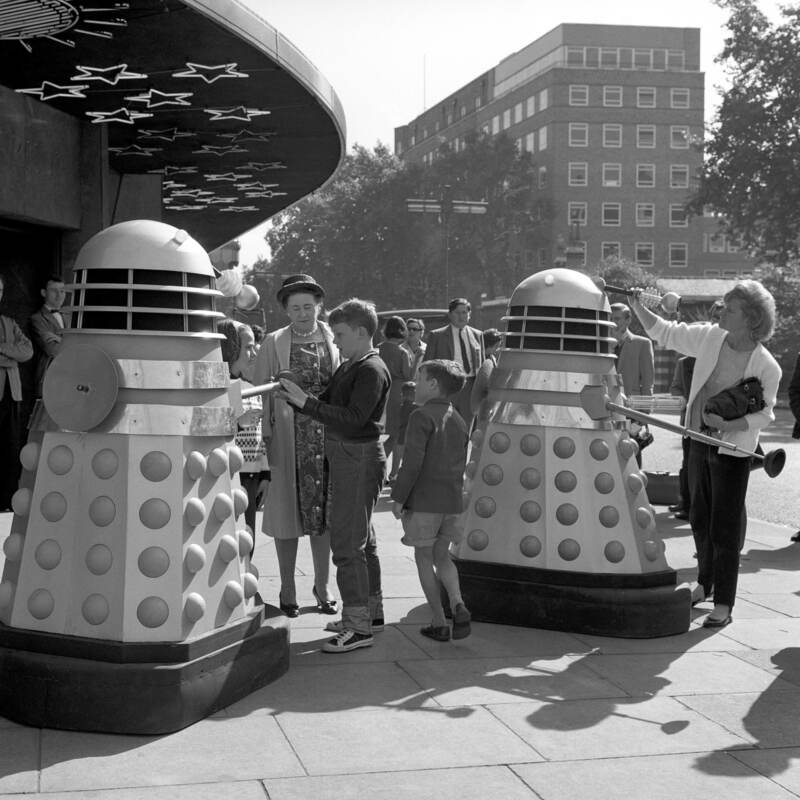 Daleks from their second story, “Dalek Invasion of Earth”, outside the London Planetarium, 20th August 1964. Lillian Russell (1860 or 1861 – 1922), one of the most famous actresses of her time, appearing on stage and the big screen. 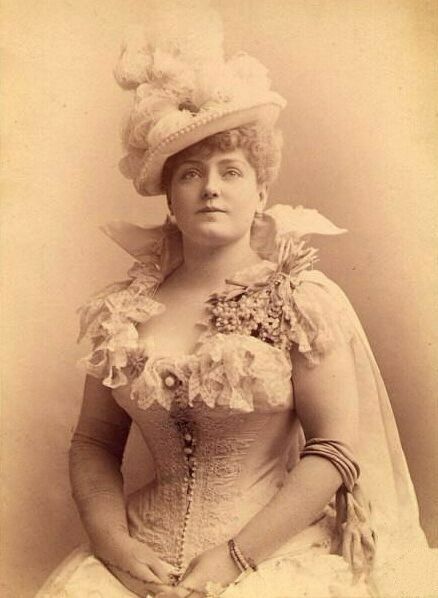 Hers was the voice chosen, for publicity purposes, to be the first heard over long distance telephone. 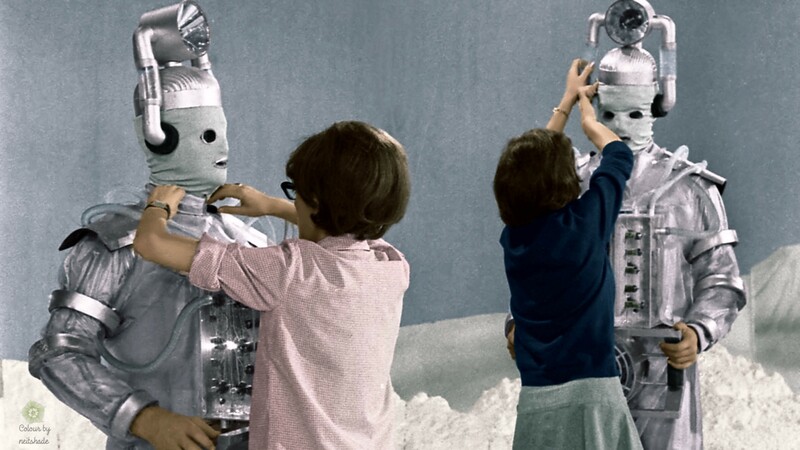 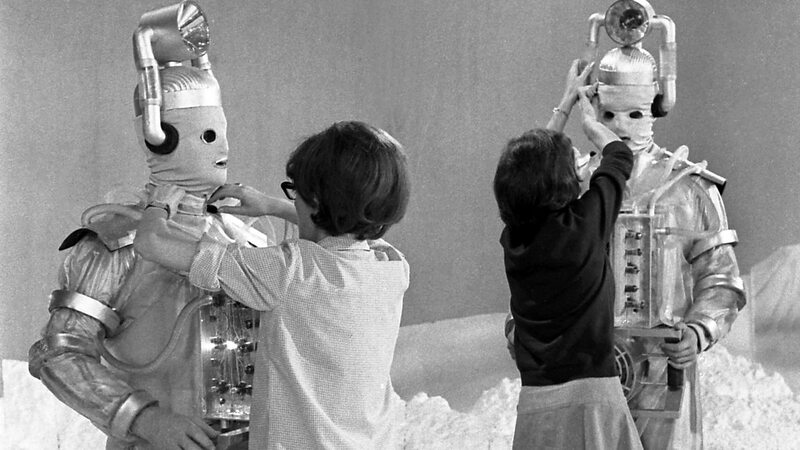 In between takes on “The Tenth Planet“, the first “Doctor Who” story to feature the Cybermen, make-up artists make adjustments to the costumes. 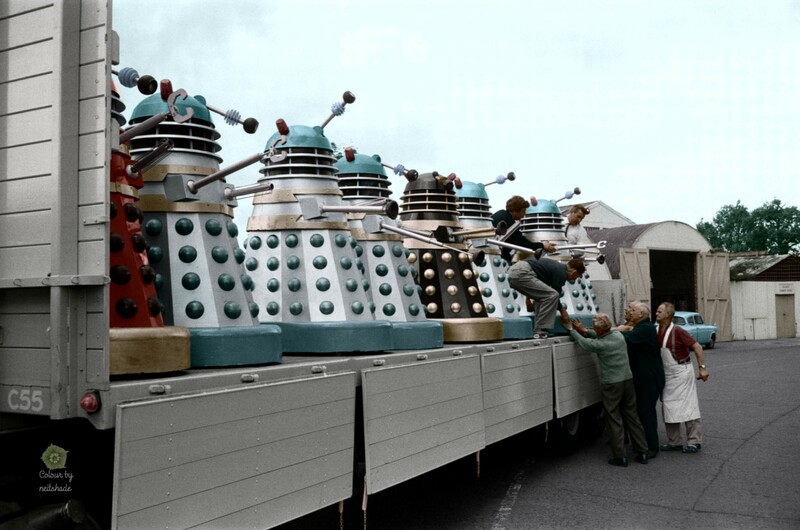 Daleks used in the film “Doctor Who and the Daleks” being loaded up fror transport to the 1965 Cannes Film Festival. 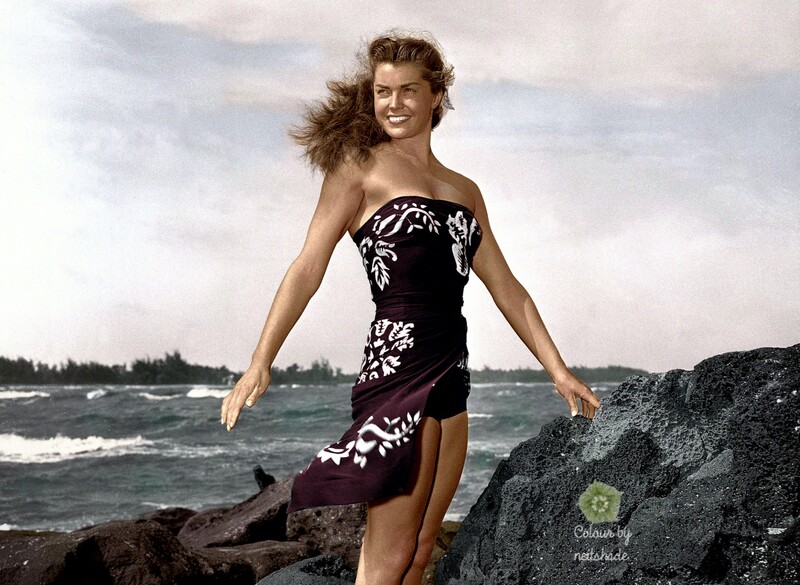 Esther William, champion swimmer turned actress, in a publicity shot for the 1950 film “Pagan Love Song”. Charlie Chaplin with his costar Virginia Cherrill, in the 1931 film “City Lights”. 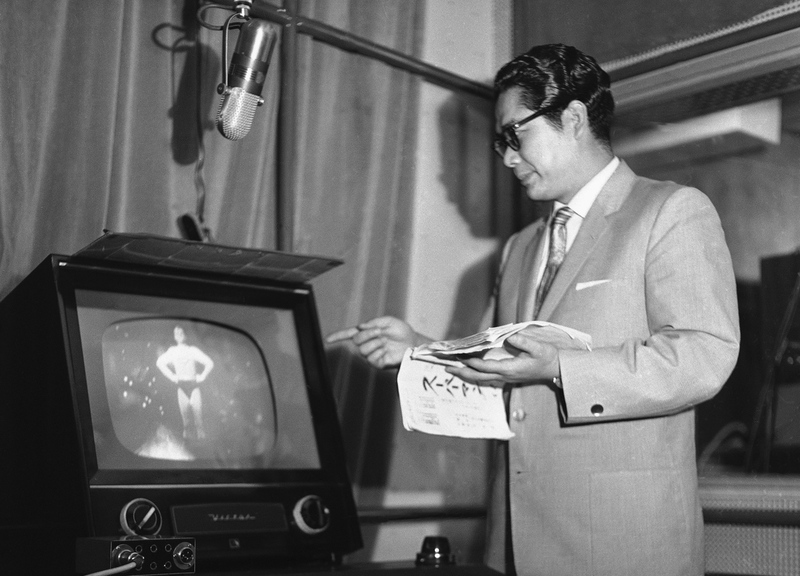 Tōru Ōhira, most famous in Japan for providing the voice of Darth Vader in the Star Wars films, seen here dubbing the 1950s series “Adventures of Superman” into Japanese, voicing George Reeve as Superman/Clark Kent.